HEALTH MINISTER LEO Varadkar has said that abortion is always going to be an issue in Ireland. “I don’t think this is the kind of issue that’s ever going to go away,” Varadkar told reporters this afternoon. He said he was aware of the Midlands Regional Hospital case when he called Irish abortion laws “too restrictive” in the Dáil on Tuesday night. The case involves a woman in her 20s being kept alive on life support because she’s pregnant and the baby is still alive. Her family has launched a High Court bid for the machine to be switched off. There are a number of things that have to be addressed – if not by this government, then by future governments. Like I said, we’re in a difficult position now. I’m very firmly of the view that we’ll never have a perfect law, that we will have to continue to amend our laws over time to keep up with medical technology and medical ethics and societal views. Varadkar urged the media to give “space” to the woman’s family and the doctors dealing with the case in Mullingar. Tony O’Brien, Director General of the HSE, said he cannot comment on the issue. On Tuesday, Varadkar told the Dáil Ireland’s abortion laws are “too restrictive“. While it protects the right to life of the mother – it has no regard for her long term health. If a stroke, heart attack, epileptic seizure happens- perhaps resulting in permanent disability as a result – than that is acceptable under our laws and I don’t think that’s right. However, he also noted that he is against abortion on demand, calling himself pro-life. The Taoiseach said Varadkar was speaking in “a personal capacity” when he made the comments. At Leaders’ Questions in the Dáil earlier today, Fianna Fáil TD Dara Calleary said the Mullingar case “must have been at the forefront” of Varadkar’s mind when he made the comments. Tánaiste Joan Burton said that Varadkar had made her and Enda Kenny aware of the “tragic” situation, but that she is not aware of it being discussed by Cabinet. Both Burton and Calleary expressed their sympathy with the woman’s family and called for a measured response from both pro-choice and pro-life groups. Burton said individual tragedies can sometimes be “drowned out from the ultra noises from both sides of what can be an extreme debate”. Email “Varadkar: Abortion issue is 'never going to go away'”. 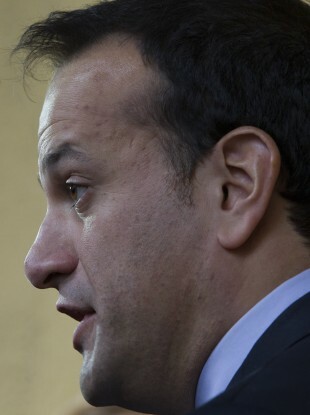 Feedback on “Varadkar: Abortion issue is 'never going to go away'”.